Hello Bart. . Wallpaper and background images in the Sideshow Bob club tagged: bob sideshow simpsons terwilliger sideshow bob epic smile hello bart. 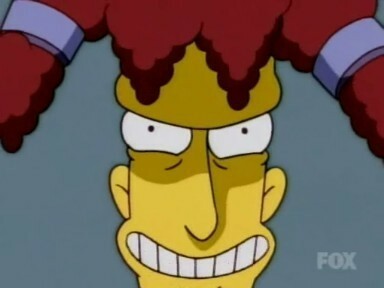 This Sideshow Bob photo contains animado, cómic, manga, historieta, anime, and dibujos animados.